Change agenda affirmed at VCCS Hire Education conference. Redesigned Career Technical Education programs, more short-term workforce credentials, revamped enrollment process, and greater emphasis on adult learners will mark future at Virginia’s Community Colleges. PHCC secures $5.8 million grant to boost workforce in Southside Virginia. Programs will train more skilled workers in health care, welding and advanced manufacturing to meet employer demand in region. Anthem Blue Cross and Blue Shield Foundation makes major contribution to fight student hunger at Virginia’s Community Colleges. 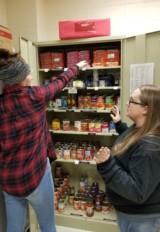 $100,000 grant will help re-stock pantries and set up new food donation stations at Rural Horseshoe colleges. 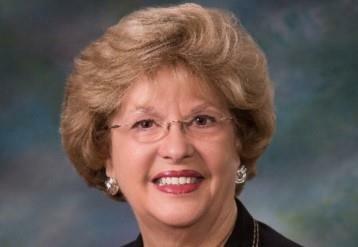 Veteran VCCS leader returns to DCC in January to serve as Interim President. Betty Jo Foster’s community college service dates back to 1971. TCC boosts workforce training with a new Skilled Trades Academy. Dignitaries use power tools for ceremonial ribbon-cutting at new facility. With the year drawing to a close, we thought it would be interesting to reflect for a moment on some of the defining events that have helped shape the last 12 months.